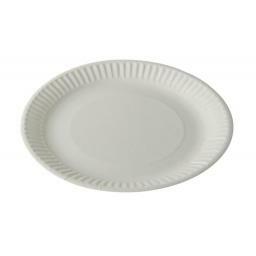 Our economic and sturdy Bagasse tableware plates are produced from "bagasse" which is 100% sugarcane fibre, a waste material when sugarcane stalks are crushed. This makes these products naturally compostable but also suitable for hot, wet and oily foods, offering superior performance to paper or polystyrene equivalents. These are perfect for parties and picnics and can be used for salads or ice cream. Disposable but made of paper, they can be used and recycled afterwards – no mess, no washing up. The paper picnic bowls go with any party theme.